We’re constantly learning how to do this whole full-timing thing…refining our style and gathering lessons so that we can have a more enjoyable time while not going broke. As I mentioned in a previous post, when we first hit the road we tried to stay at RV parks that accepted the Passport America discount almost exclusively. Then we realized how much gas we were burning to get to some of the RV parks that were a bit out of the way. The same can be said for choosing to stay at a far-away park and driving the toad to tourist destinations to save a few bucks (you often end up spending more in gas than makes it worth it). 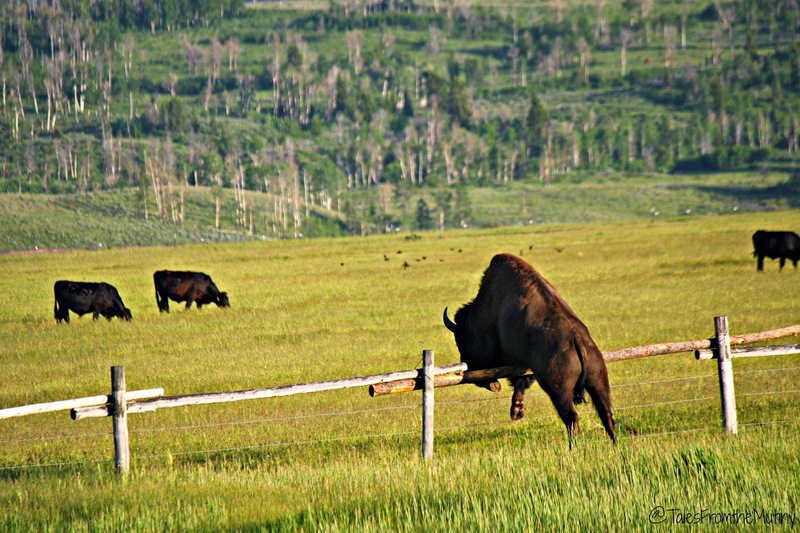 Unfortunately, we hadn’t learned that lesson yet when we chose to visit Grand Teton National Park last July. Our site at Flat Creek. 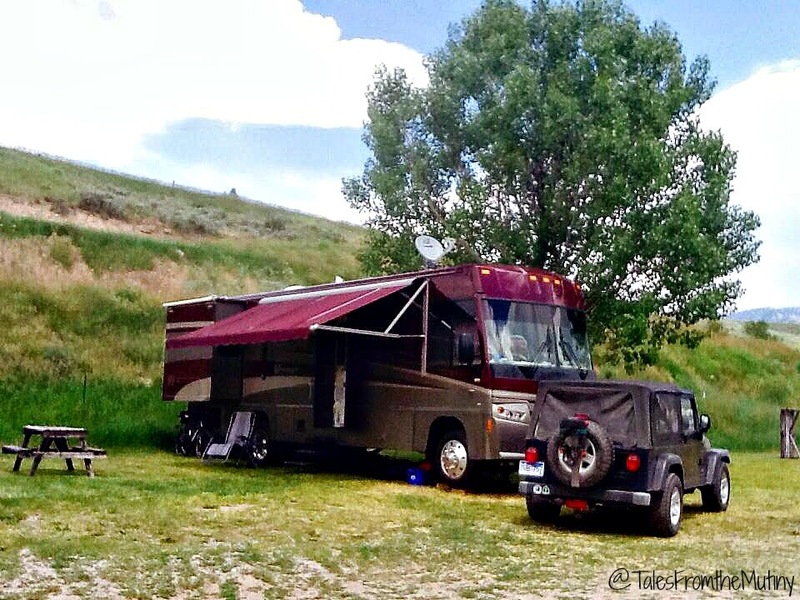 We opted to stay at Flat Creek RV in Thayne, Wyoming because the prices of RV parks (with hookups) near Jackson were a little shocking. Truthfully, Grand Teton wasn’t exactly on our places to visit at the time but when we saw we would be passing right by it we thought it’d be silly not to go. Like most fulltimers we always say we’ll come back but then other adventures (or obligations) call our names and before we know it 2 years has passed! However, since we were on our way to meet friends in Glacier we knew we lacked the time and funds to make this a proper adventure. But that didn’t stop us from trying. 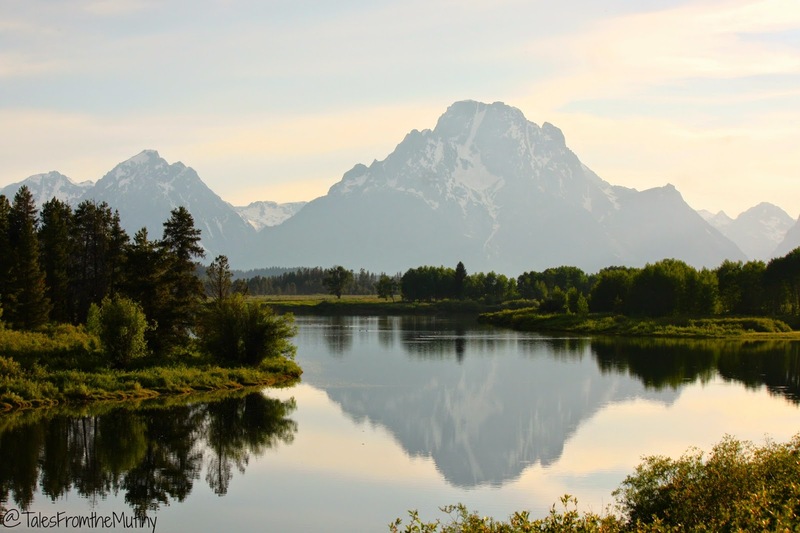 Some may say we were nuts to make the hour and a half drive (one way) to see Grand Teton National Park and we might have to agree with them. But the drive was beautiful and the destination was worth it, even if we wouldn’t do it like that again. 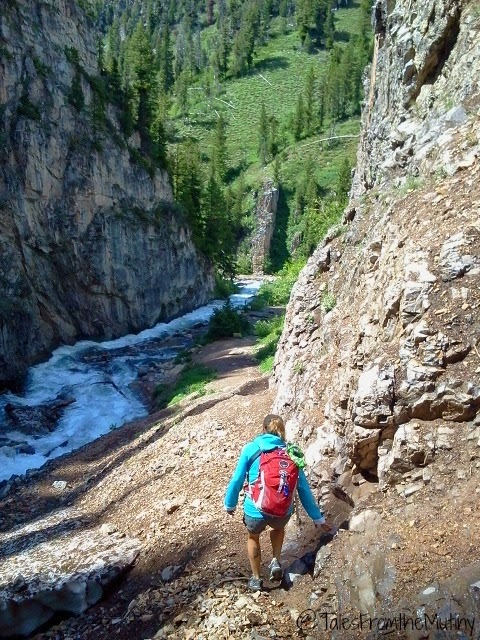 We hiked to Hidden Falls and Inspiration Point and then took the shuttle boat across Jenny Lake back to the Jeep. 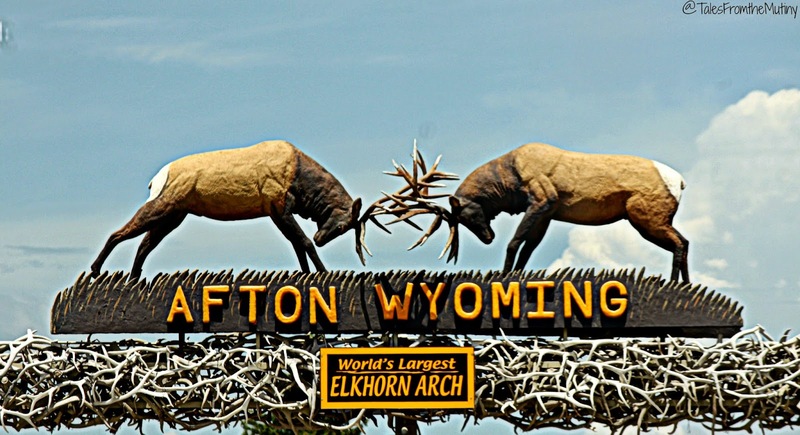 We enjoyed a quick visit to Afton to check off one of Eccentric America suggested stops, the World’s Largest Elkhorn Arch…because how could you not got to see that?? 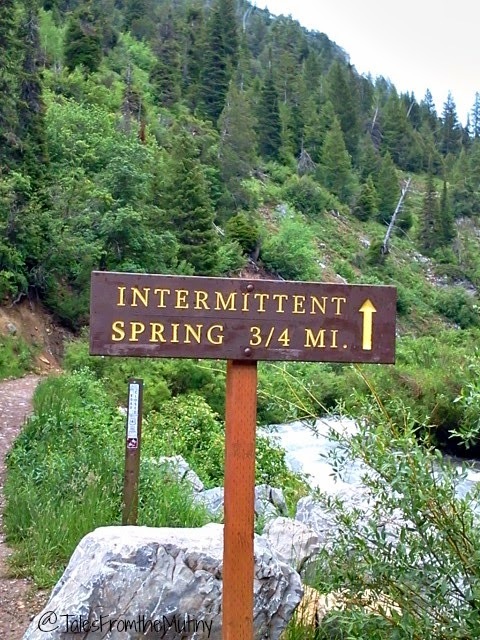 And then hiked Intermittent Spring (also known as Periodic Spring). 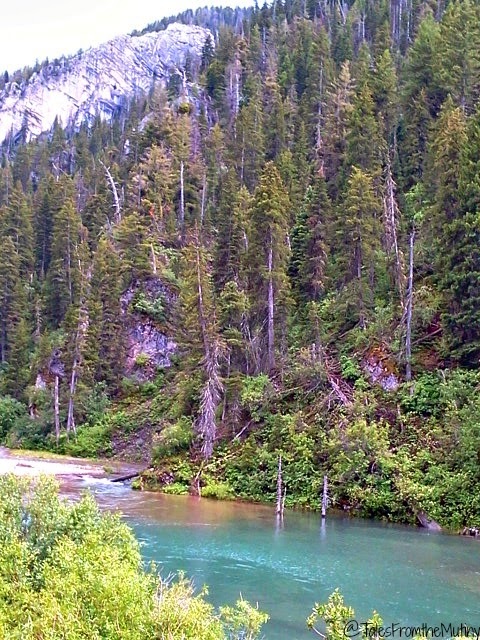 This is a short, easy hike suitable for most and great for families, including dogs (watch the kids around the water). The water supposedly shuts itself off every 15 minutes but we didn’t get to witness that…just our luck! Seems that with the snow melt going on the water levels were so high that the natural syphoning action, thought to be responsible for the on/off flow, was bypassed. Go figure! Anyway, it was still a great hike. In case you’re wondering why we’d have our backpacks on such a short hike…we like to carry a picnic lunch with us everywhere we go. 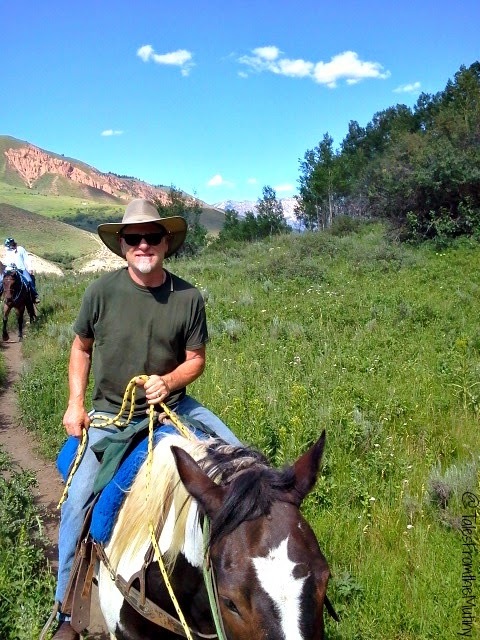 We then got a wild hair and decided to book a trail ride at Mill Iron Ranch outside of Jackson, Wyoming. 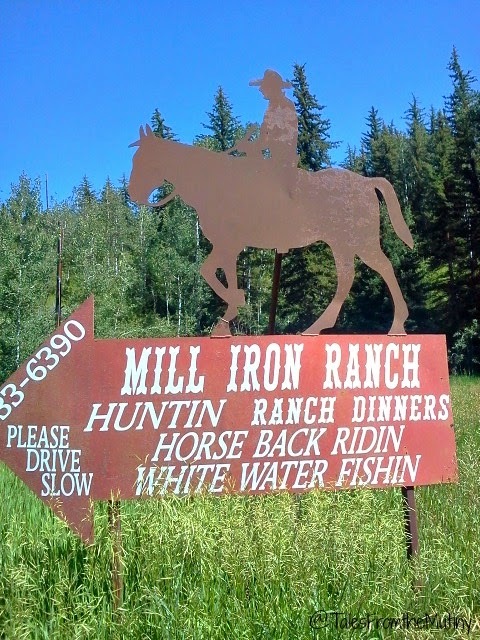 So, even though we had decided to camp an hour and half away to “save money” we ended up splurging on a two hour trail ride and dinner at the ranch. 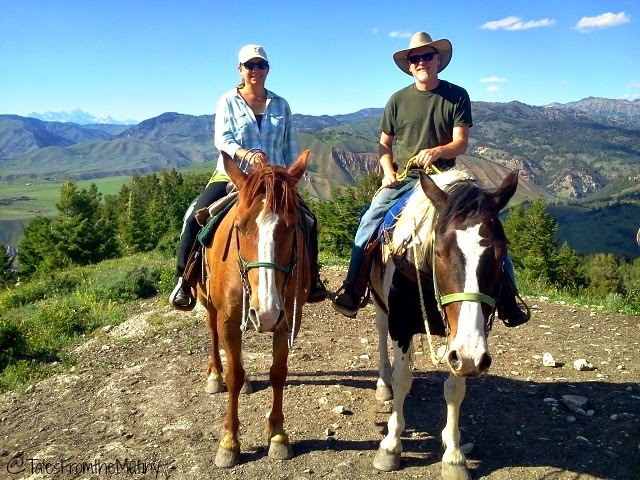 Our horses were in great shape and lugged our butts 2000 feet up the mountain passing through meadows of spring flowers and to epic views of the Tetons in the background. It.was.cool. Clark and his horse Edwin. Now, if any of you know me (Lynn), you know I am a vegetarian (actually I’m vegan with enough wiggle room that if a well-meaning friend makes me a cake with eggs and/or butter I’ll still eat it, mmm cake). 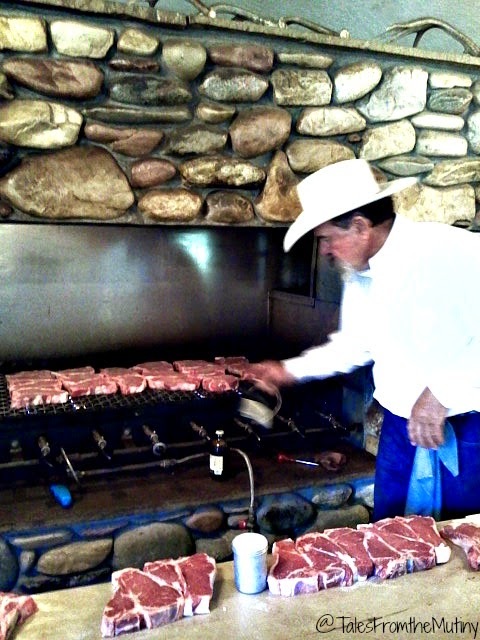 And if you were paying attention you read that we got a steak dinner with our trail ride. 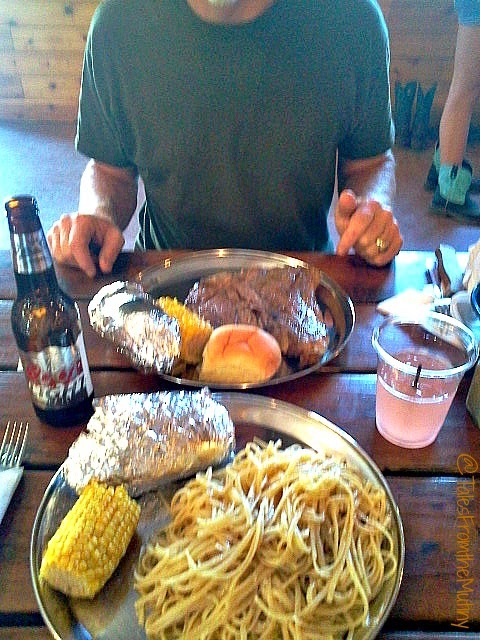 Well, do not freak out ya’ll…the family who runs the ranch was so accommodating that they made me a HUGE plate of pasta, some salad, a baked potato and corn on the cob (note: Clark asked if they had a vegetarian option when he made our reservation. They asked a few questions and said they’d have something special for me.). They also offered a full bar. Sorry for the fuzzy picture but look at that pile of spaghetti! As far as our RV park…it was a great little place to be. 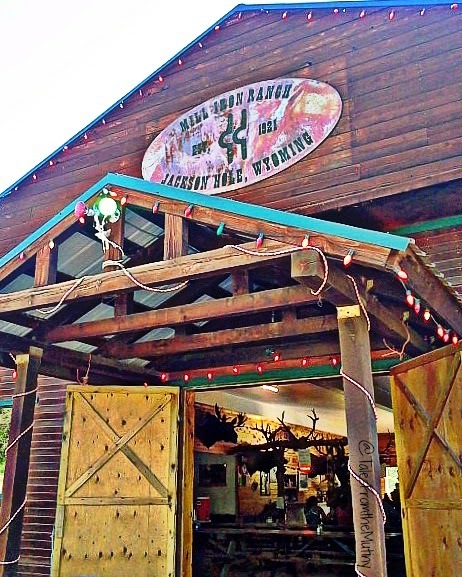 The area is beautiful and rustic and full of fresh air. On the Fourth of July we sat outside of the Mutiny and watched some fireworks. The people that run the place are very friendly and helpful so it all worked out in the end. That is a huge pile of spaghetti! 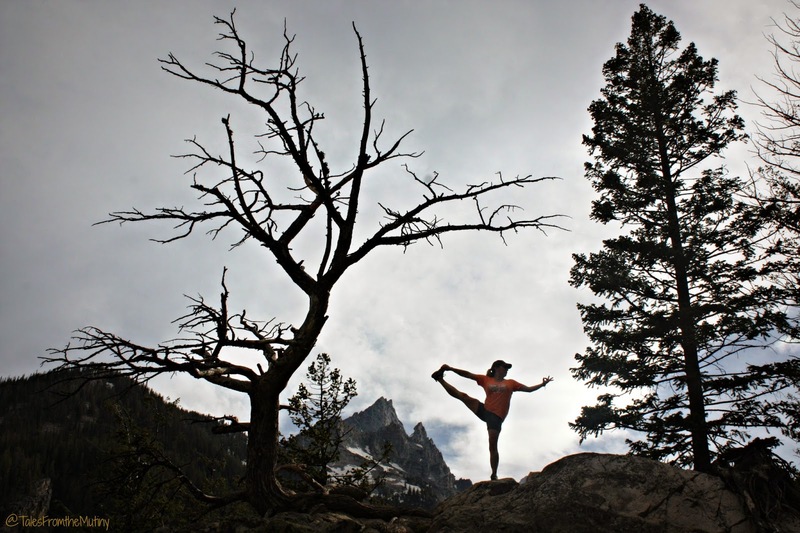 We may work camp next summer (2016) at Grand Tetons, so if you come back thru the area next year, let us know. Have a wonderful time this summer in Alaska. 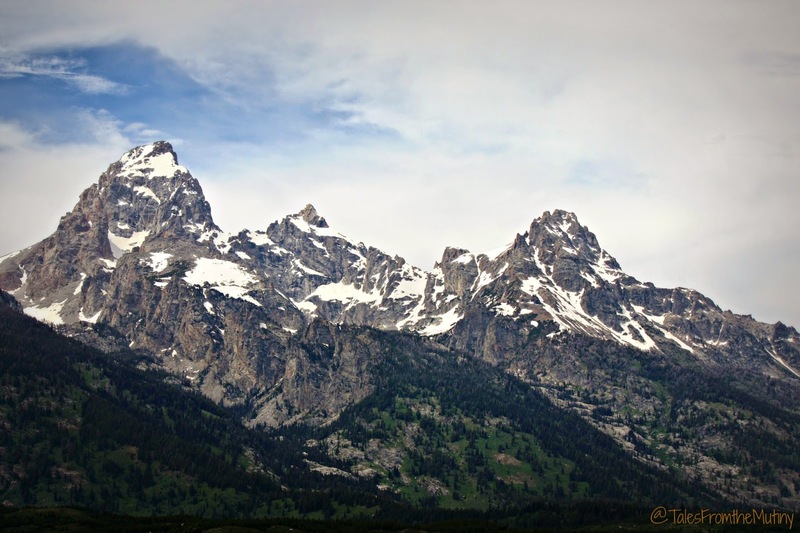 We love Grand Tetons…spent 10 days there last year. If you ever go back, now that you can dry camp, stay at the Gros Ventre campground which is in between Jackson and the entrance to Grand Tetons. It's gorgeous….and only $22 per night! That pile of spaghetti with a side of potato and corn cracks me up. And they were worried I didn't get enough to eat! 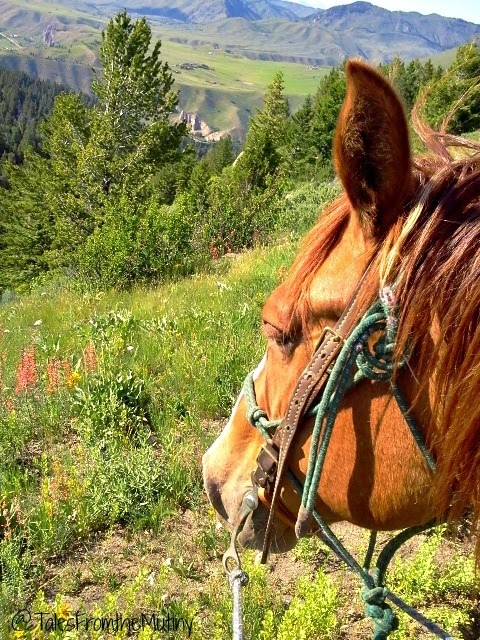 So jealous you'll be spending a summer in Teton! Might just have to try to plan another trip (longer too) back there. Yes! We're so excited that we can (comfortably) camp without hookups now. And Grand Teton is definitely a place I'd like to spend more than a day or two at again.